Here it is! 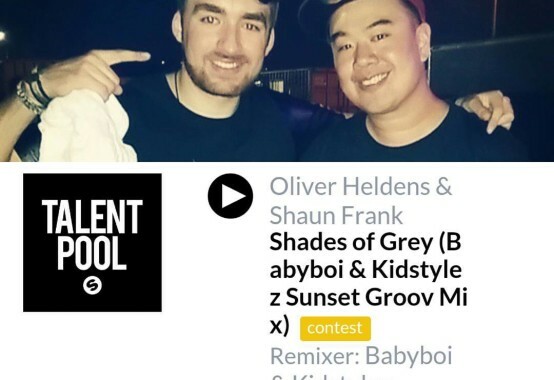 Our remix of “Shades of Grey” by Oliver Heldens​ and Shaun Frank​ featuring Delaney Jane​! We just entered it into a remix contest and need to get votes, so please listen and vote if you like it! Also if you want to do us a favor, please vote, and repost / share, and ask others to do the same!